Hide deals from seller "Penguino's Pizza"
Limit 1 per person and 1 per transaction. Valid on (1) 16-inch, thin-crust pizza with 1 topping. Carry-out orders only; please call to place order. Promotional value expires 60 days after purchase. 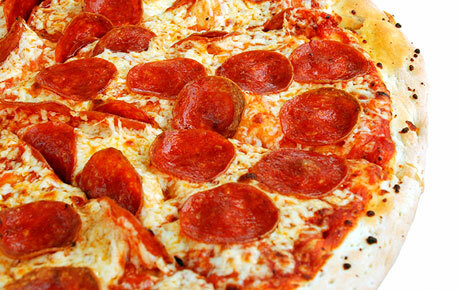 Slice up some fun with 50% off a 16-inch, thin-crust pizza with one topping from Penguino’s Pizza in Buffalo Grove ($16 value). Serve up your pie with fresh toppings including classics like sausage, pepperoni and green peppers, or change up your routine with grilled chicken, bacon or jalapeños. This local favorite has been in business for more than 10 years. They offer a variety of tasty options, from Italian beef and salads to penne pasta and jumbo wings. Their famous Mega Palooza pizza is 24"x18" and includes 54 pieces of ‘za with all your favorite fixings, making it a perfect addition to any sporting event or gathering. Serve up a classic with this tasty deal. Restaurant in Buffalo Grove serving pizza, Italian beef, wings and more.